Industry experts recently shared that California will become the largest recreational cannabis market in the world and the largest creator of jobs for marijuana. Not only is California going to be the largest market, but it is also the ideal location for growers, processors and sellers. For those looking for work in this booming market, growers, processors and sellers are not the only businesses that will be hiring; adjacent services (legal advice, marketing, security, etc.) will be seeking additional staff as well. ZipRecruiter’s data revealed Los Angeles and San Francisco advertised the most marijuana-focused jobs in the legal marketplace. Contrary to what you might think, this is not an achievement that was built slowly over time; California’s recreational cannabis market just recently opened. Yet, it has already topped the list of marijuana-related help-wanted postings. The Cannabis Marketplace report, published by Consumer Research Around Cannabis, revealed that there are approximately 13.7 million adults over the age of 21 in the Los Angeles Greater Metropolitan Area, and approximately 5.3 million of those individuals are cannabis consumers. With California’s legal medical marijuana reaching 3.8B$ in 2017, the question now is how much more will the marijuana market grow with recreational use. In its 2018 Cannabis Investment Report, investment and research firm Ackrell Capital estimated that a 100B$ market could develop if the federal government supported full legalization – which it currently does not. With the many risks of running a cannabis business – under federal law, marijuana is still a Schedule 1 substance – entrepreneurs and employers constantly worry whether the government will come after them. The recently revoked Cole Memorandum that protected marijuana companies operating legally under state laws from federal prosecution has also given the industry another reason to be nervous. Attorney General Jeff Sessions has made it clear that he does not support the legalization of marijuana. The solution for many marijuana merchants has been alternative providers like Marijuana Merchant Account. As the industry continues to grow rapidly and businesses hire employees, many will continue to turn to high-risk providers for marijuana funding. If your business needs cash to grow and hire new staff, consider what a MMA can do for your company. To set up your Marijuana Funding contact us today! 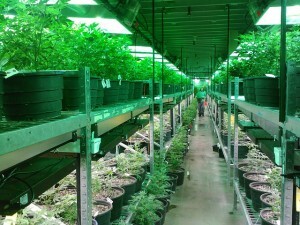 This entry was posted in California Marijuana and tagged Marijuana Funding by admin. Bookmark the permalink.